Crestwood’s grapevine, The Beast, is fed through SPArkles Salon, much to owner Daphne Arden’s disgust. Daphne grew up in her grandmother’s beauty-parlor, after her mother Jolie, the Summer Lake wild child, disappeared mysteriously over twenty years ago. The Beast chewed on Jolie and speculated about the true identity of Daphne’s father. After surviving the fallout her entire childhood, in addition to having some crazy relatives with questionable business practices, all Daphne hopes for is quiet respectability, staying well out of the jaws of The Beast. So much for hope. 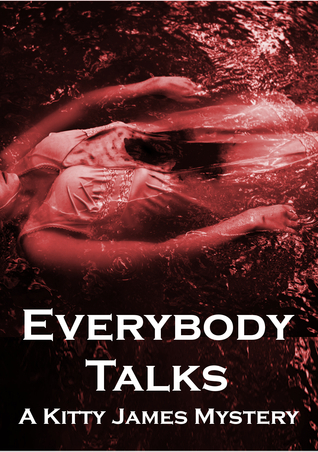 Susie Mayhew, a local woman who went missing, floats up right behind Daphne’s house, and Susie’s isn’t the only body in Summer Lake, causing the police to find a serial killer’s dumping grounds. The Beast roars fast and loud, and Kitty James is knocking on Daphne’s door begging for a front row seat the scandal. As if that wasn’t enough? Her old high school crush, the handsome David Mitchell, starts to pursue her determinedly, causing tongues to wag a mile a minute! As connections between a murdered ex-employee, Jolie’s disappearance, and one of Daphne’s many potential fathers is revealed, a killer will become increasingly nervous about past crimes being resurrected. A killer that will do anything, including silence Kitty and Daphne, to keep everybody from talking about the past. A superb follow up to Dragonfly. The Kitty James Mysteries are now firmly on my 'must read' shelf and I eagerly anticipate the next mystery. I love the author's style of writing. She writes such wonderful, true to life characters. Small town life is captured so well. The story opens in 1982 with the first killing and after that we are intermittently given glimpses into Jolie's life, her character, her actions, and interactions with the people around her. The main story is set in the present day where Jolie's daughter, Daphne, is all grown up and trying to live a quiet, gossip free life. Living in a small town and owning a salon means that it is practically impossible to avoid gossip and scandal, especially after dead bodies turn up behind her house. There are plenty of mysteries to solve. Who was Daphne's father? What really happened to her mother? Who is the killer and will there be more victims? Kitty takes a back seat in this story and only plays a supporting role in solving the mystery. Daphne is a great character and through her the novel takes a lighter and more humorous tone than Kitty's in Dragonfly. Where Kitty suffers from social anxiety disorder Daphne is outgoing and sassy. She does have her own quirks though. She doesn't date locals because of the gossip mill. When you date a local the whole town has a propensity to weigh in with their opinion. This I can relate to but I'd totally break the rule for a David. Daphne's internal thoughts about the people around her, especially Kitty, are quite funny. She also fancies the pants off David, whom we met in Dragonfly, but she is so obsessed with avoiding gossip that she doesn't even want to be seen talking to him in public and goes to great lengths to avoid his company. Their developing relationship is cute and funny. I particularly liked the scene where she was in hospital and didn't want David to see her because she looked a scary mess. I wouldn't have to be in hospital to relate to that feeling! The mystery is well thought out and the characters are all very engaging. I am loving this series! !